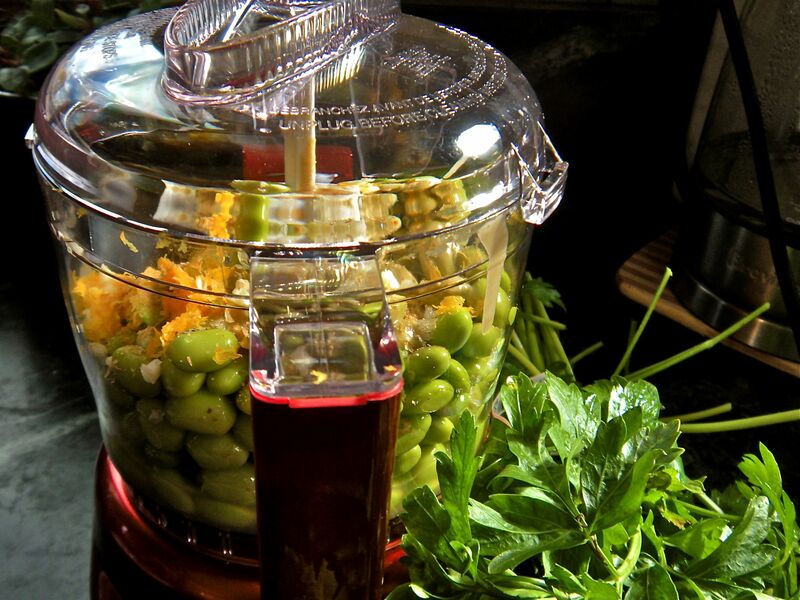 edamame hummus . 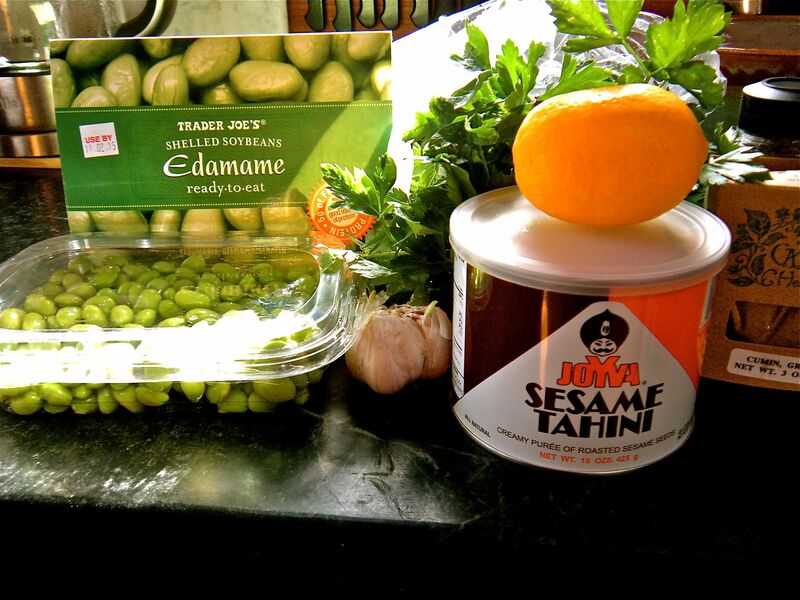 . .
For lunch, I made edamame hummus from a recipe I came across this morning. Instead of frozen edamame, I used packed fresh, shelled edamame from Trader Joe’s that I happened to have on hand in the fridge. Followed the recipe except for adding a little more water, used a Meyer lemon and hand ground coriander seed in a mortar & pestle because I didn’t have any powdered on hand. 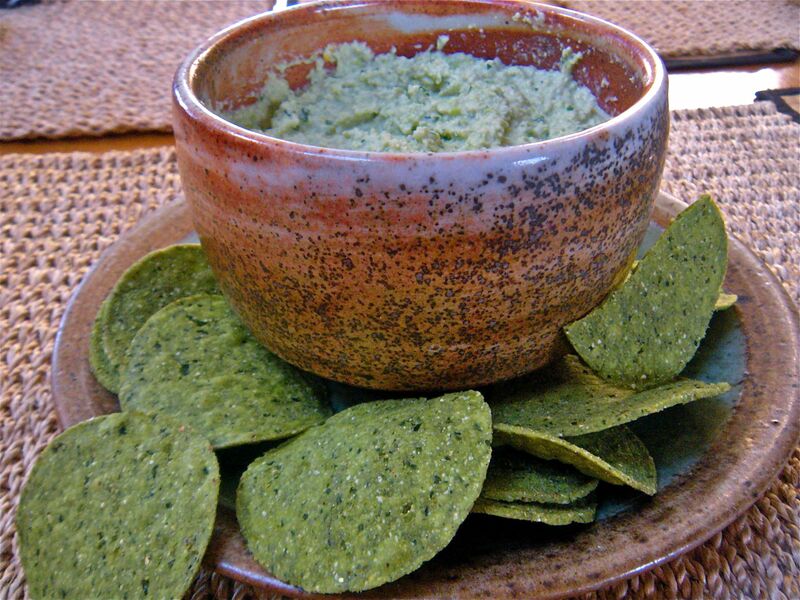 We ate this edamame dip with spinach/kale chips (pricey but worth it!) and thin halves of flax/bran pita bread crisped up in the toaster. A small bowl of clam chowder from the soup kitchen at Shaw’s and we were happy with a light lunch sans any processed lunchmeats or bread. YAY!